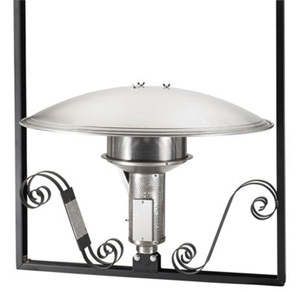 The Sunglo™ model A244 suspended heater frees your deck by supporting heaters from above. The distinctive frame works well in a variety of decors. Optional automatic control systems make these heaters easy to operate even though they may be out of easy reach.